Be sure to Save the Date for the 2nd Annual Komen on the Creeper in Abingdon, Virginia. 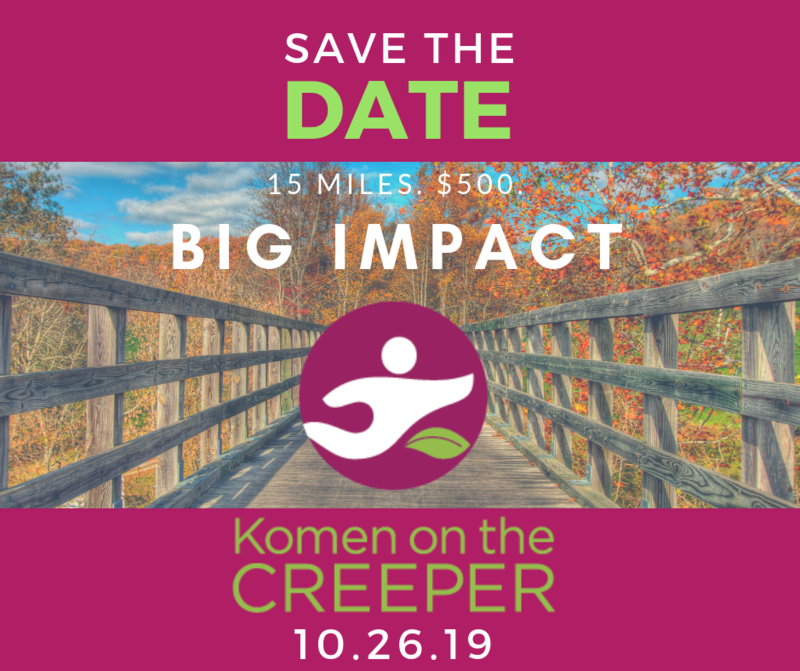 Registration will be open Spring 2019, please check back soon! 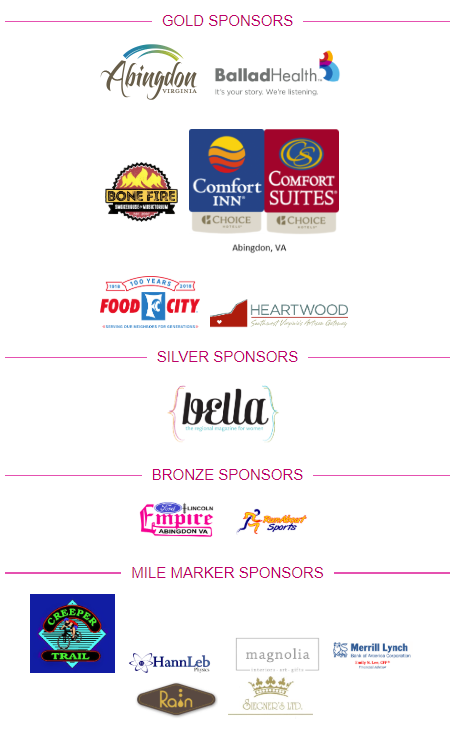 Thank you to our 2018 Sponsors for making the Inaugural Komen on the Creeper a reality!